Ponder today, this dark day, the final words of Jesus. Scripture records seven last statements, or the “Seven Last Words.” Take each phrase and spend time with it. Seek the deeper spiritual meaning for your life. Jesus’ forgiveness of others was radical and to a degree never seen before. While hanging on the Cross and enduring the cruelty of others, Jesus spoke words of forgiveness. He forgave them in the midst of His persecution. What’s more is that He even acknowledged that those crucifying Him were not fully responsible. They clearly did not know what they were doing. This humble acknowledgment of Jesus shows the depth of His tender mercy. It reveals He died not in anger or resentment, but in willing sacrifice. Can you say these words? Can you call to mind the person who has hurt you and pray that the Father forgives them? Leave judgment to God and offer mercy and forgiveness. What a consolation it must have been for the good thief to hear these words. He must have been experiencing a certain despair in life at that moment as he, along side of Jesus, was dying on a cross. What a gift it was to be there next to the Savior of the World, sharing in the sufferings of Christ in such a real way. And this man was privileged to be among the first to receive this gift of salvation won by Jesus on the Cross. Jesus offers us the same assurance. He offers salvation to us beginning today. And He offers it to us in the midst of our own suffering and sin. Can you hear Him offer you this gift of mercy? Can you hear Him invite you to share His gift of everlasting life? Let Him speak this invitation to you and let the eternal life of paradise begin to take hold more deeply today in your soul. What a gift! Here, dying on the Cross, Jesus entrusted His own mother to John. And in so doing, He entrusted her to each one of us. Our unity with Jesus makes us a member of His family and, thus, sons and daughters of His own mother. Our Blessed Mother accepts this responsibility with great joy. She embraces us and holds us close. Do you accept Jesus’ mother as your own spiritual mother? Have you fully consecrated yourself to her? Doing so will place you under her mantle of protection and love. Jesus was not abandoned but He allowed Himself to feel and experience this complete loss of the Father in His human nature. He felt the deep experience of despair. He allowed Himself to know and experience the effects of sin. Therefore, He knows what we go through when we despair. He knows what it feels like. And He is there with us in those temptations enabling us to press on through any despair toward total faith and trust in the Father. What a meaningful statement. He thirsted physically at that moment for water to quench His dehydration. But more than that, He thirsted spiritually for the salvation of all of our souls. Jesus’ spirit still longs for this gift of salvation. He longs to call us His children. He thirsts for our love. Ponder Jesus saying these words to you. “I thirst for you!” He says. It is a deep and burning thirst for your love. You satiate Jesus’ thirst by returning that love. Satiate His thirst this Good Friday by giving Him your love. These are the words we need to pray more than any. These are the words of complete surrender to God. Prayer is ultimately about one thing. It’s about surrender. It’s about trust. Say these words over and over today and let this perfect surrender of Jesus also be your surrender. Surrender means God is in control. It means that we let go of our own will and choose only God’s. And it means that God pledges to accept our surrender and guide us into the perfect plan He has in mind for us. 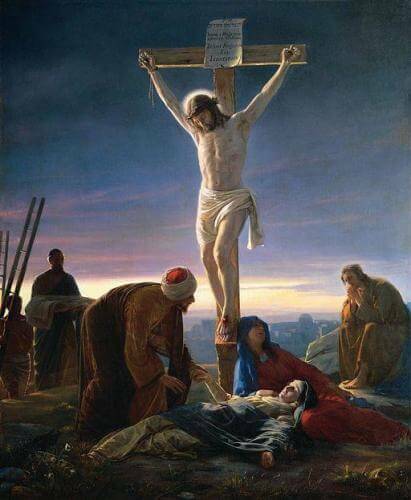 It’s significant that He said “It is finished” as His last words. What does this mean? What is finished? This spiritual statement from Jesus is one that affirms that His mission of the redemption of the whole world is accomplished. “It” refers to His perfect sacrifice of love offered for all of us. 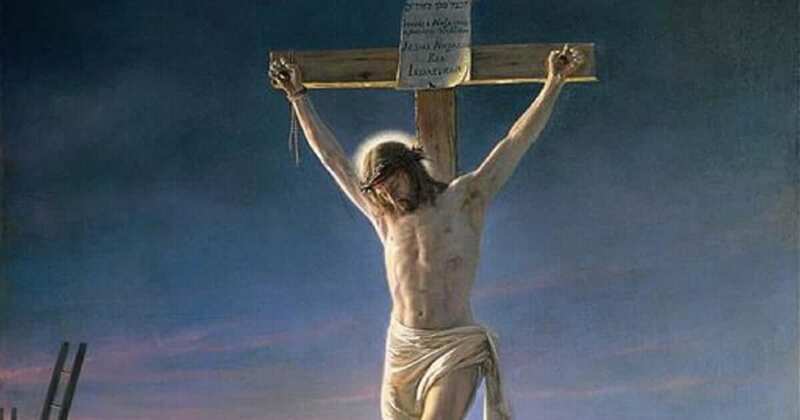 His death, which we commemorate today, is the perfect sacrifice which takes away the sins of all. What a gift! And what a sacrifice Jesus endured for us! We are used to seeing this sacrifice on the Cross. We ponder this sacrifice every time we look at the crucifix. But it is important to note that our over-familiarity with the Cross can tempt us to lose sight of the sacrifice. It’s easy for us to miss what Jesus actually did for us. He accomplished the act that saves us and He is now offering it to us. Let this completed act of Divine Mercy penetrate your soul. He desires to say that His sacrifice has “finished” its work in your soul. So today, on this Good Friday, it would be good if we spent the day pondering the reality of Jesus’ sacrifice. Try to understand what it was like for God Himself to suffer and die. Contemplate what it was like for God Himself, the Creator of all things, to be put to death by those whom He created, to suffer at the hands of those whom He loved with a perfect love. Understanding Jesus’ sacrificial love will enable us to love as He did. It will enable us to love those who have hurt us and those who persecute us. His love is total. It is generous beyond description. Lord, I know You thirst for my soul. You finished what You started by dying on the Cross for my salvation and the salvation of the world. Help me to understand Your love and to accept it into my life. Help me to forgive. Help me to invite you into my own darkness and sin. Help me to abandon all to You. I thank You, dear suffering Lord, for the gift of Your Precious Blood, poured out for the salvation of the world. Jesus, I trust in You.